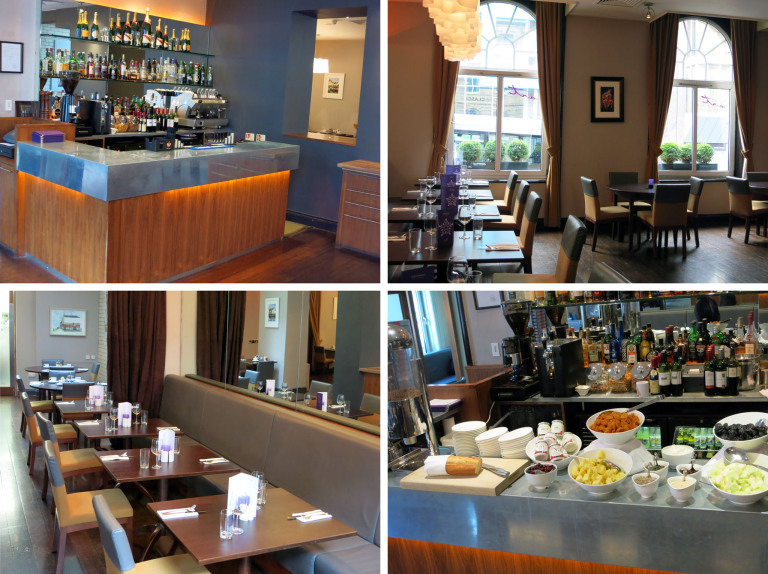 A travel report on a two-night stay at the Glasgow Arthouse, a Townhouse Hotel that belongs to the award-winning ABode Hotel Group. In mid-September, I was invited to the Scotch Lamb PGI Street Food Festival in Glasgow by Quality Meat Scotland. I was put up at the Arthouse Hotel for two nights. 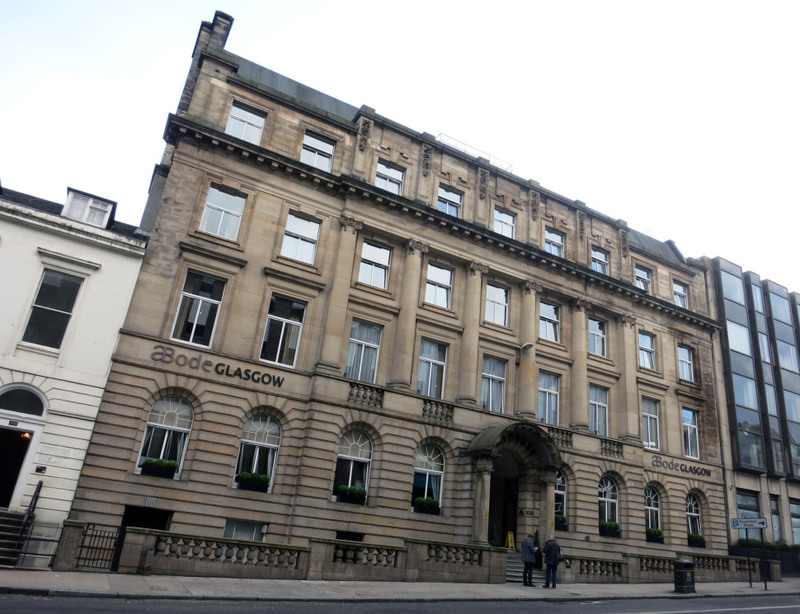 This centrally located four-star hotel is a five-minute walk from Buchanan Street, one of Glasgow’s main shopping streets. 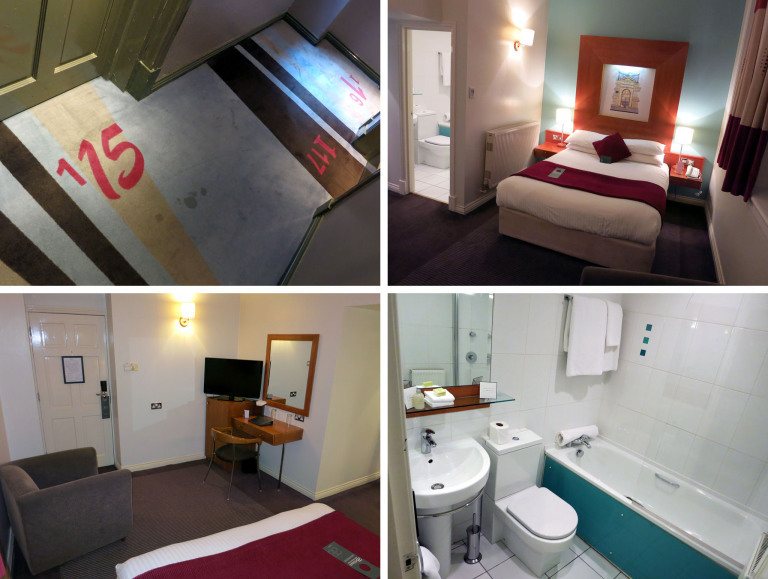 I stayed in room 115, which was both spacious and tidy. However, upon closer inspection, there were some minor optical defects. As for the Arthouse Restaurant & Bar, I’ve only been there for drinks and once for breakfast, so I cannot say much about the hot meals. The great room is simple but clean and tastefully decorated. As with the rest of the hotel, the walls are adorned with artwork. The staff was very friendly. However, in my opinion, they could have more actively catered to the needs of the guests. The bar is a bit too small for my taste. For Scotland, it had a somewhat disappointing selection of single malts. The bar also doubled as a small breakfast buffet. Because I had an early excursion to the Shantron farm, I had a vegetarian breakfast delivered to the room. This worked wonderfully. It came on time, and the coffee was hot and good. The toast was only lukewarm, but I was able to live with that. The next day, we had breakfast together at the Arthouse restaurant, where I treated myself to a full Scottish breakfast. Incidentally, the aforementioned breakfast buffet consists of only side dishes; breakfast is ordered à la carte. My breakfast wasn’t anything spectacular, but it was quite in order. Despite the ramshackle charm, I generally liked the hotel. However, I do not think that it deserves a four-star rating. I cannot say much about the rates because my stay was paid for by Quality Meat Scotland. I would like to once again express my gratitude. More pictures of the hotel and my trip to Glasgow can be found in my Flickr album.